Access the 2018 application form here. The 2018 award is open to all U.S.-based Microsoft partners, with annual revenues between $5 million and $100 million and whose innovative business strategies resulted in sustained growth over three years (2016, 2017 and through the first three quarters of 2018). Those strategies could involve applying new technologies, addressing an adjacent vertical, sharpening a vertical focus or even honing business processes. The 2017 winner, AgileThought LLC, for example, dialed down its hiring process to support very fast growth in billable hours. 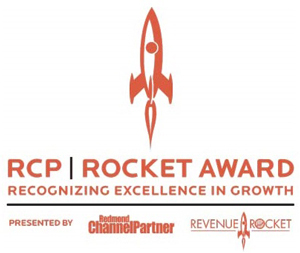 See the AgileThought story here and visit our RCP Rocket Awards page for more details on the innovative business approaches employed by previous award winners. The application process this year consists of two steps. First, we're using Survey Monkey as the mechanism in which to submit your initial responses electronically. You can access the survey application here. Second, upon reviewing these initial submissions, we will select a few finalists to interview for a deeper dive into their application submissions, and from which we will determine the winners. The deadline for the initial submission is Nov. 7, 2018. Joining me on the panel for evaluating all of the submissions are Mike Harvath, CEO of Revenue Rocket Consulting Group, and other distinguished guests with hands-on experience in growing an IT services business. First, the results. What did your company achieve over a three-year period in terms of revenue, profit and other relevant metrics you deem appropriate? Second, the strategies. What unique combination of strategies did you employ to generate the results you achieved? Revenues for 2016, 2017 and so far in 2018. Net income as a percentage of your revenues this year. Brief description of your company's business type. Status in the Microsoft Partner Network. Brief description of the strategies that led to this growth. For the interview, which we plan to conduct in mid-to-late November, we will probe deeper into your business performance, key strategies, lessons learned and any other aspect of your growth strategies that drove your business. The winners will be notified in early December. In addition to an award plaque, winners will also be the focus of an article on RCPmag.com, and a donation will be made in their name to a charity of their choice. Start thinking about getting your entries ready, and good luck. Apply using the survey form here. For any questions, e-mail sbekker@converge360.com.